How to delete a blog permanently in blogger.how to delete a blog in blogger,trick to delete a blogger blog permanently,how many days blogger take to delete a blog permanently? Do you have so many blogs? and some of them aren't useful for you and you want to get rid of them? Why don't you delete them? but how? if the same questions are in your mind and you are searching for how to delete my useless blogs then you are at right place. In this tutorial I will show you how can you delete a blog and also a trick to delete it permanently from your blogger account. If you are searching for how to delete a blog on blogger permanently then you must have found so many blogs having posts with title how to delete a blog permanently in blogger but only few of them really works and majority are fake. 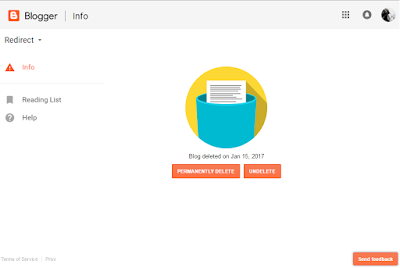 Since blogger doesn't provide any option to delete a blog permanently therefore we have to use a trick, I will show you that trick in this post but before that I will show you how to delete a blog in blogger. 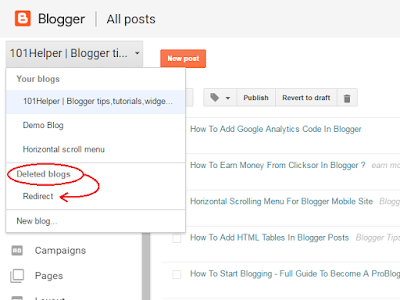 Step 1: Go to blogger dashboard and choose the blog which you want to delete. Step 2: Click on the settings in the menu on left side and choose other. Step 3: Click on Delete blog below Import & back up. Step 4: Click on Delete This Blog and you are done! 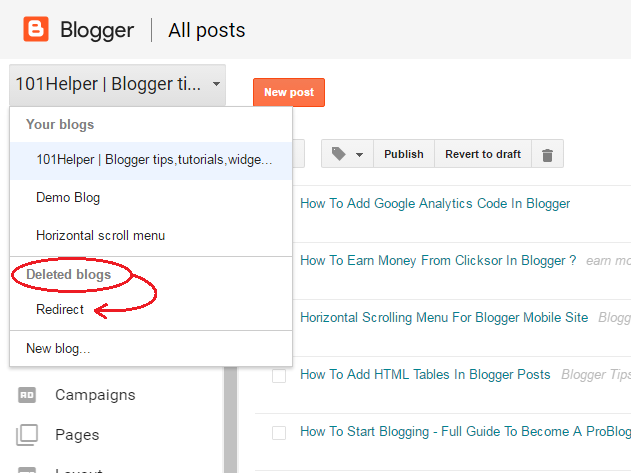 Step 5: Now go to blogger.com to view your blogs list. Step 6: Open your blog list as shown in below image and click on the blog which you want to delete in the deleted blogs section. Step 6: Click on Permanently delete button beside the Undelete button and you are done successfully. I hope you like this post and it is helpful to you. If you like this post share it with others and help 101Helper grow. If you have any suggestion or opinion leave a comment below. Thanks for visiting 101Helper. If you want to get latest updates about blogging tutorials signup for newsletter. If you have any problem related to this post feel free to ask me in comments or contact me. 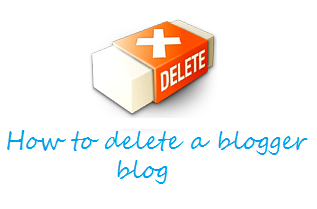 Search tags: How to delete a blog permanently in blogger 101helper. how to delete a blog in blogger, deleting blogger blog, trick to delete a blogger blog permanently, how many days blogger take to delete a blog permanently? , 101helper blogging tutorials.